We have recently talked much of the use of knowledge bases in areas such as artificial intelligence and knowledge supervision. The idea is to leverage the knowledge codified in these knowledge bases, Wikipedia being the most prominent exemplar, to guide feature selection or the creation of positive and negative training sets to be used by machine learners. The pivotal piece of information that enables knowledge bases to perform in this way is a coherent knowledge graph of concepts and entity types. As I have discussed many times, the native category structure of Wikipedia (and all other commonly used KBs) leaves much to be desired. It is one of the major reasons we are re-organizing KB content using the UMBEL reference knowledge graph . The ultimate requirement for the governing knowledge graph (ontology) is that it be logical, consistent and coherent. It is from this logical structure that we can provide the rich semsets  for semantic matches, make inferences, understand relatedness, and make disjointedness assertions. In the context of knowledge-based artificial intelligence (KBAI) applications , the disjointedness assertions are especially important to aiding the creation of negative training sets based on knowledge supervision. Coherent and logical graphs first require natural groupings or classes of concepts and entity types by which to characterize the domain at hand, situated with respect to one another with testable relations. Entity types are further characterized by a similar graph of descriptive attributes. Concepts and entity types thus represent the nodes in the graph, with relations being the connecting infrastructure. Going back at least to Aristotle, how to properly define and bound categories and concepts has been a topic of much philosophical discussion. If the nodes in our knowledge graph are not scoped and defined in a consistent way, then it is virtually impossible to construct a logical and coherent way to reason over this structure. This inconsistency is the root source of the problem that Wikipedia can not presently act as a computable knowledge graph, for example. This article thus describes how Structured Dynamics informs its graph-construction efforts built around the notion of “natural classes.” Our use and notion of “natural classes” hews closely to how we understand the great American logician, Charles S. Peirce, came to define the concept . 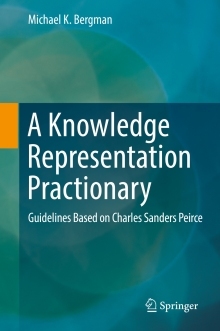 Natural classes were a key underpinning to Peirce’s own efforts to provide a uniform classification system related to inquiry and the sciences. Aristotle set the foundational basis for understanding what we now call natural kinds and categories. The universal desire by all of us to be able to understand and describe our world has meant that philosophers have argued these splits and their bases ever since. In very broad terms we have realists, who believe things have independent order in the natural world and can be described as such; we have nominalists, who believe that humans provide the basis for how things are organized in part by how we name them; and we have idealists, or anti-realists, who believe “natural” classes are generalized ones that conform to human ideals of how the world is organized, but are not independently real . These categories, too, shade into one another, such that these beliefs become strains in various degrees for how any one individual might be defined.The realist strain, also closely tied to the sciences and the scientific method, is what most guides the logic basis behind semantic technologies and SD’s view of how to organize the world. Aristotle believed that the world could be characterized into categories, that categories were hierarchical in nature, and what defined a particular class or category was its essence, or the attributes that uniquely define what a given thing is. A mammal has the essences of being hairy, warm-blooded, and live births. These essences distinguish from other types of animals such as birds or reptiles or fishes or insects. Essential properties are different than accidental or artificial distinctions, such as whether a man has a beard or not or whether he is gray- or red-haired or of a certain age or country. A natural classification system is one that is based on these real differences and not artificial or single ones. Hierarchies arise from the shared generalizations of such essences amongst categories or classes. Under the Aristotelian approach, classification is the testing and logical clustering of such essences into more general or more specific categories of shared attributes. Because these essences are inherent to nature, natural clusterings are an expression of true relationships in the real world. By the age of the Enlightenment, these long-held philosophies began to be questioned by some. Descartes famously grounded the perception of the world into innate ideas in the human mind. This philosophy built upon that of William of Ockham, who maintained the world is populated by individuals, and no such things as universals exist. In various guises, thinkers from Locke to Hume questioned a solely realistic organization of concepts in the world . While there may be “natural kinds”, categorization is also an expression of the innate drive by humans to name and organize their world. Relatedness of shared attributes can create ontological structures that enable inference and a host of graph analytics techniques for understanding meaning and connections. For such a structure to be coherent, the nodes (classes) of the structure should be as natural as possible, with uniformly applied relations defining the structure. Thus, leaving behind metaphysical arguments, and relying solely on what is pragmatic, effectively built ontologies compel the use of a realistic viewpoint for how classes should be bounded and organized. Science and technology are producing knowledge at unprecedented amounts, and realism is the best approach for testing the trueness of new assertions. We think realism is the most efficacious approach to ontology design. One of the reasons that semantics are so important is that language used to capture the diversity of the real world must be able to be meaningfully related. Being explicit about the philosophy in how we construct ontologies helps decide sometimes sticky design questions. These points are not academic. The central failing, for example, of Wikipedia has been its category structure . Categories have strayed from a natural classification scheme, and many categories are “artificial” in that they are compound or distinguished by a single attribute.“Compound” (or artificial) categories (such as Films directed by Pedro Almodóvar or Ambassadors of the United States to Mexico) are not “natural” categories, and including them in a logical evaluation only acts to confuse attributes from classification. To be sure, such existing categories should be decomposed into their attribute and concept components, but should not be included in constructing a schema of the domain. “Artificial” categories may be identified in the Wikipedia category structure by both syntactical and heuristic signals. One syntactical rule is to look for the head of a title; one heuristic signal is to select out any category with prepositions. Across all rules, “compound” categories actually account for most of what is removed in order to produce “cleaned” categories. Two implications can be drawn from this table. First, without cleaning, there is considerable “noise” in the Wikipedia category structure, equivalent to about half to two-thirds of all categories. Without cleaning these categories, any analysis or classification that ensues is fighting unnecessary noise and has likely introduced substantial assignment errors. Second, the power that comes from a coherent schema of categories and concepts — especially inference and graph analysis — can not be applied to a structure that is not constructed along realistic lines. We can expand on this observation by bringing in our best logician on information, semeiosis and categories, Charles S. Peirce. Peirce was the first, by my reading, who looked at the question of “natural classes” sufficient to provide design guidance, and which may be sometimes contraposed against what are called “artificial classes” (we tend to use the term “compound” classes instead). A “natural class” is a set with members that share the same set of attributes, though with different values (such as differences in age or hair color for humans, for example). Some of those attributes are also more essential to define the “type” of that class (such as humans being warm-blooded with live births and hair and use of symbolic languages). Artificial classes tend to only add one or a few shared attributes, and do not reflect the essence of the type . 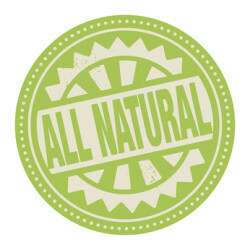 Importantly, note that “natural kinds” or “natural classes” are not limited to things only found in nature. Perice’s semiotics (theory of signs) also recognizes “natural” distinctions in arenas such as social classes, the sciences, and man-made products . Again, the key discriminators are the essences of things that distinguish them from other things, and the degree of sharing of attributes contains the basis for understanding relationships and hierarchies. Though all of this sounds somewhat abstract and philosophical, these distinctions are not merely metaphysical. The ability to organize our representations of the world into natural classes also carries with it the ability to organize that world, reason over it, draw inferences from it, and truth test it. Indeed, as we may discover through knowledge acquisition or the scientific method, this world representation is itself mutable. Our understanding of species relationships, for example, has changed markedly, especially most recently, as the basis for our classifications shifts from morphology to DNA. Einstein’s challenges to Newtonian physics similarly changed the “natural” way by which we need to organize our understanding of the world. The essence of knowledge is that it is ever-growing and expandable. New insights bring new relations and new truths. The structures we use to represent this knowledge must themselves adapt and reflect the best of our current, testable understandings. Keeping in mind the need for all of our classes to be “natural” — that is, consistent with testable, knowable truth — is a key building block in how we should organize our knowledge graphs. Similar inspection can be applied to the relations used in the knowledge graph , but I will leave that discussion to another day. Though hardly simple, the re-classification of Wikipedia’s content into a structure based on “natural classes” will bring heretofore unseen capabilities in coherence and computability to the knowledge base. Similar benefits can be obtained from any knowledge base that is presently characterized by an unnatural structure. We now have both tests and guidelines — granted, still being discerned from Peirce’s writings or its logic — for what constitutes a “natural class”. “Natural classes” are testable; we not only know it when we see it, we can systematize the use of them. In classifying a class as a “natural” one does entail aspects of judgment and world view. But, so long as the logics and perspectives behind these decisions are consistent, I believe we can create computable knowledge graphs that cohere following these tests and guidelines. Some may question whether any given structure is more “natural” than another one. But, through such guideposts as coherence, inference, testability and truthfulness, these structural arrangements are testable propositions. As Peirce, I think, would admonish us, failure to meet these tests are grounds for re-jiggering our structures and classes. In the end, coherence and computability become the hurdles that our knowledge graphs must clear in order to be reliable structures. For the latest release of UMBEL and its knowledge graph and associated links, see M.K. Bergman, 2015. “UMBEL version 1.20 Released,” in AI3:::Adaptive Information blog, April 21, 2015. A semset is the use of a series of alternate labels and terms to describe a concept or entity. These alternatives include true synonyms, but may also be more expansive and include jargon, slang, acronyms or alternative terms that usage suggests refers to the same concept. See further http://wiki.opensemanticframework.org/index.php/Semset_Concept. I first discussed Charles S. Peirce at length in M.K. Bergman, 2012. “Give Me a Sign: What Do Things Mean on the Semantic Web,” in AI3:::Adaptive Information blog, January 24, 2012. See, for example, John Michael Steiner, 2011. “An Anti-Realist Theory of Natural Kinds.” PhD dissertation, University of Calgary, September 2011, 245 pp. Michael R. Ayers, 1981. “Locke versus Aristotle on Natural Kinds.” The Journal of Philosophy (1981): 247-272. Menno Hulswit, 1997. “Peirce’s Teleological Approach to Natural Classes,” in Transactions of the Charles S. Peirce Society (1997): 722-772. See M.K. Bergman, 2015. “Shaping Wikipedia into a Computable Knowledge Base,” in AI3:::Adaptive Information blog, March 31, 2015. Upper Mapping and Binding Exchange Layer (UMBEL) Specification, Annex G: UMBEL SuperTypes Documentation, UMBEL.org, retrieved February 16, 2015. Aleksander Smywinski-Pohl, Krzysztof Wróbel, Michael K. Bergman and Bartosz Ziółko, 2015. “cycloped.io: An Interoperable Framework for Web Knowledge Bases,” manuscript in preparation. Claude E. Shannon, 1948. “A Mathematical Theory of Communication”, Bell System Technical Journal, 27: 379–423, 623-656, July, October, 1948. See http://cm.bell-labs.com/cm/ms/what/shannonday/shannon1948.pdf. Charles Sanders Peirce, 1894. “What is in a Sign?”, see http://www.iupui.edu/~peirce/ep/ep2/ep2book/ch02/ep2ch2.htm. André de Tienne, 2006. “Peirce’s Logic of Information.” Seminario del Grupo de Estudios Peirceanos, Universidad de Navarra 28 (2006). See, as one example, this discussion for the need for consistent and foundational relationship types, Giancarlo Guizzardi and Gerd Wagner, 2008. “What’s in a Relationship: An Ontological Analysis” In Conceptual Modeling-ER 2008, pp. 83-97. Springer Berlin Heidelberg, 2008. Pragmatic, effectively built ontologies compel the use of a realistic viewpoint for how classes should be bounded and organized. Science and technology are producing knowledge at unprecedented amounts, and realism is the best approach for testing the trueness of new assertions. We think realism is the most efficacious approach to ontology design.